When you need a powerhouse to help you take care of the tough jobs, look no further than the new RAM 2500. With its diverse range of trims in both 4×2 and 4×4 drive configurations, there’s a new RAM 2500 to suit just about every kind of Hobbs, TX driver. And with burly available engines like the 370-hp, 800-lb.-ft. of torque 6.7L Cummins® Turbo Diesel I6 engine, which boasts a max towing capacity of 17,980 pounds, you’ll have plenty of power to tackle just about anything. Take advantage of our specials and flexible financing options today! 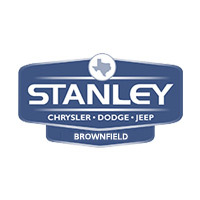 Compare the 2018 RAM 2500 – a truck whose 2017 predecessor gets a 4.5 out of 5 rating on Edmunds – to the all-new RAM 1500 and then take either, or both, for a test drive at Stanley Chrysler Dodge Jeep Ram Brownfield, just a short drive from Lamesa.